This Baby Dino is the talk of the Jurassic world. This case is transparent with a Baby Dino printed on the back. There is absolutely nothing cuter than a tiny baby dinosaur. 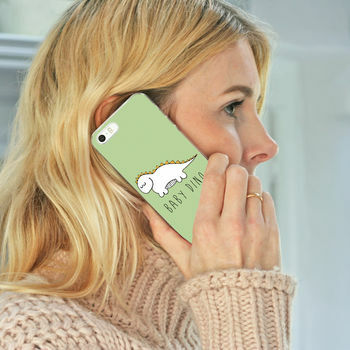 This green phone case features an illustration of a baby dinosaur. This cute phone cover could be a treat for yourself or a quirky gift for the dinosaur lover in your life. This is a hard plastic phone case, it is transparent at the sides and is printed on the back. 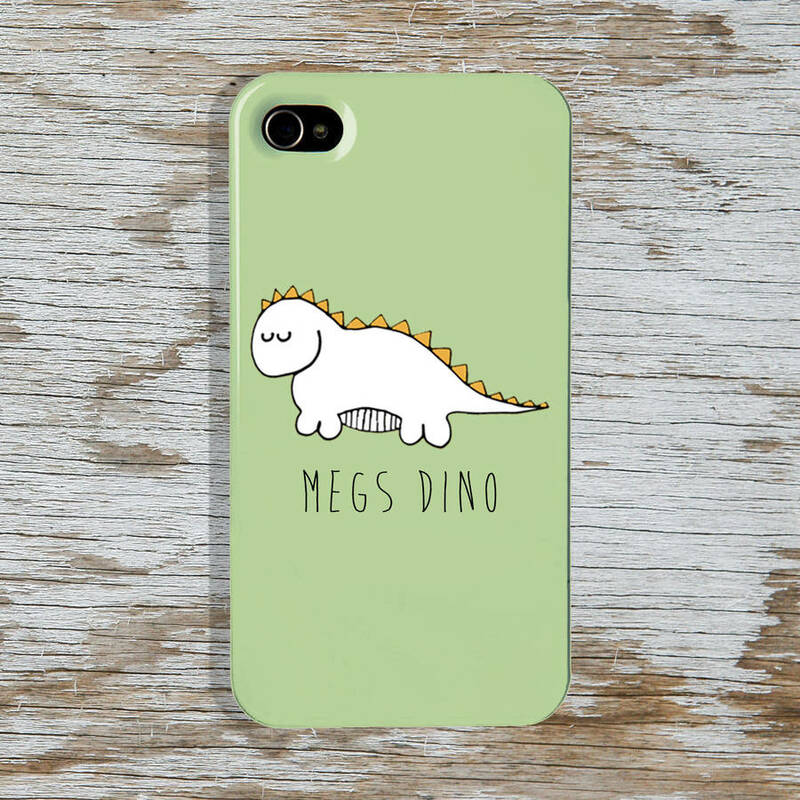 If you love this phone case you may like our other dinosaur gifts. Do you want to make your phone case even more special? 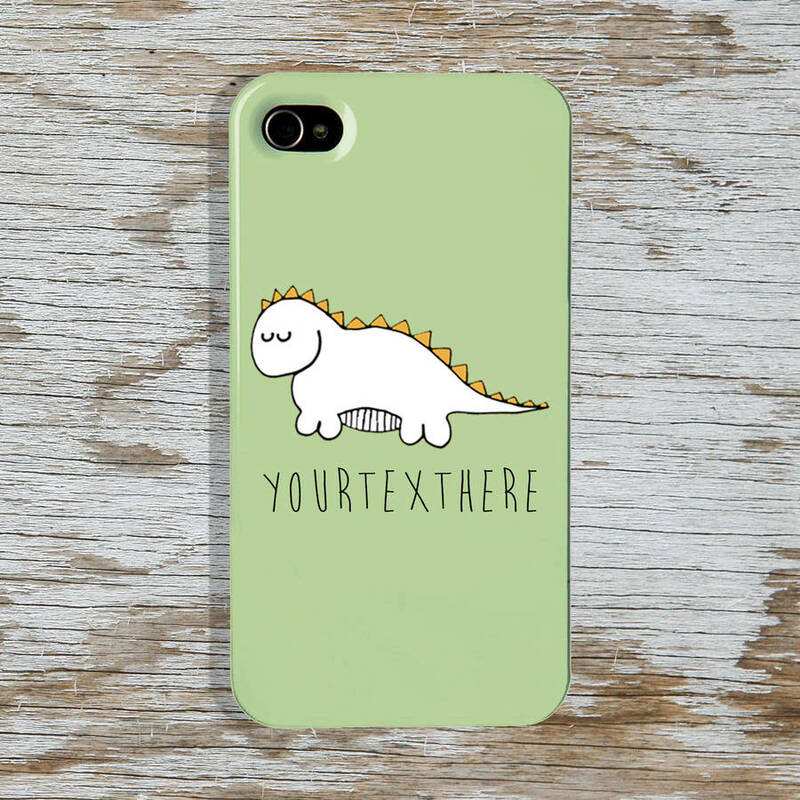 We can add a small amount of text to the bottom of the phone case - placed just under the illustrated character. Why not add your name, the name of someone you love or a special date? Please contact us if you are interested in this case for another type of phone. This Depends on the phone make.